(Host) The economy is clearly the dominant issue in the Presidential election campaign. 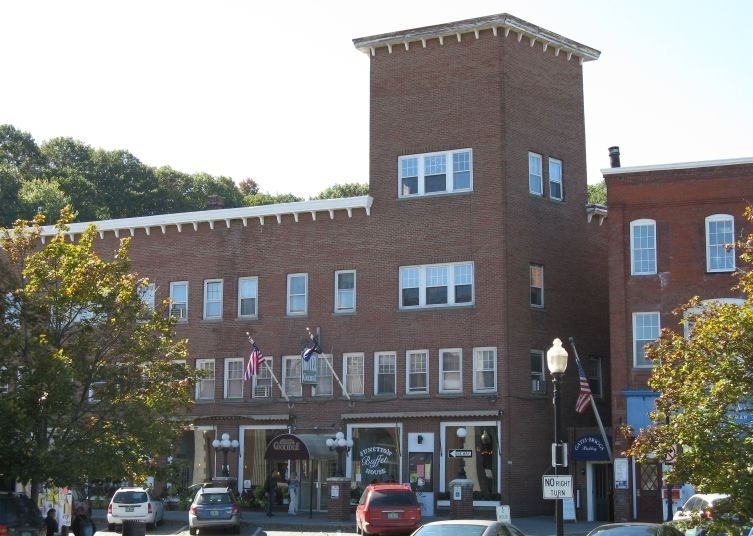 But does the Wall Street crisis really reach into Main Streets in Vermont? VPR is sampling political opinion across the state. In today’s report, Steve Delaney went to White River Junction to assess the links between the election and the economy. (Delaney) White River Junction was named for the place in eastern Vermont where two railroad lines join. That’s where I’m standing right now. The trains don’t come by here so often any more, it’s more important now that two Interstates cross, nearby. But even though the trains are not such a big part of White River Junction any more, the spirit they started here is still kicking. (Delaney) You can feel it in Amy Robb’s pottery shop in downtown White River. She says the fiscal crisis has solidified her support for Barack Obama, and she’s upbeat about her business. (Robb) I think I might see a small drop-off, but I am a destination business, I have been here for almost four years, I have not saturated the market, so I think I’m going to hold my own. (Delaney) Have you tried to get a loan that you’ve been unable to get? (Robb) That’s a very good question, I’ll tell you something that happened very recently in the last two weeks. I’ve had my business up for sale now. I’ve had a couple people very interested, one woman in particular, very enthusiastic, was going through the process, and right when I gave her the information to take to the bank, she got cold feet, and I didn’t know what happened, and she said it’s the situation with the banks and the lending. She never even got to the bank. (Delaney) She scared herself out of it? (Robb) She scared herself out of it. (Delaney) Amy Robb’s studio is in an old industrial building that’s become an arts colony. Printmaker Rachel Gross has her own space there, and she confirms that people do connect the economy and the election, and that they do worry. (Gross) Yes actually, I was just talking to a couple, one of our members and she said, she and her husband are retired and they’re planning on living on this fixed income, and she was really freaking out because she’s afraid that, She said we’re either going to have to die younger, or get jobs, so that is a worry. (Delaney) Well you are obviously no where near retirement age, but what do you worry about? (Gross) What do I worry…Gosh, I worry that John McCain will, get elected, that’s what I worry about (laughs). (Delaney) Rachel Gross frets that he will appoint conservative judges to the Supreme Court, and she worries about Sarah Palin succeeding McCain in the Presidency. But those worries carry no dollar signs. In fact there is money for qualified borrowers. At the White River welcome center, greeter Tom Kibbe says the local banks are in pretty good shape. (Kibbe) I think here, you know, if you’ve had a good record, I think you can get money for most anything. I think our bankers locally may have been a little more prudent. (Kibbe) Yankee prudence is a good word, yes. (Delaney) It is perhaps prudent to be nervous over the financial fluctuations, especially in the non-profit sector. Nancy Theriault is concerned that funding for White River’s outreach groups may evaporate in the new financial climate. (Theriault) I’m a little nervous, although as I’ve said to a few friends, boy it’s a great time not to have any money… (laughs) nothing ventured, nothing lost. 1 I work for a nonprofit here in White River, and we repair homes for people who are low-income. (Delaney) Is there a donor side to your operation? (Theriault) Yes, and I’m actually the development director. So you know whether that has slacked off or not. Oh yes, and it has, and people are saying yes we want to give, we’d love to give, even foundations, but people are really holding tighter to their money, people are nervous. (Delaney) There’s a small open space in the center of downtown White River Junction, and that’s where Obama supporter Steve Brown said the fiscal crisis has not touched him, except to fortify his political decision. (Brown) In terms of the election, I’m even more adamant about my choice for President, because of that. Personally I haven’t been affected by the economic crisis, although I’m driving a car with 220,000 miles on it and I don’t own a house, you know I don’t have loans, but you know if my car breaks down I don’t know if I’m going to be able to get a loan, who knows? But to this point I haven’t been severely affected by it. (Delaney) Back at the welcome center, Tom Kibbe has been through a lot of elections, and a lot of economic upheavals. He says on Election Day, the economy and the other issues will not produce a lop-sided vote. (Kibbe) I think we’ll probably follow our normal tendencies here. Which is what? I think we’re gonna be pretty evenly divided here, I think it’s gonna run pretty close. (Delaney) Almost everyone else we talked with in this railroad town in renaissance believes the credit crisis has simply solidified Barack Obama’s lead. For Vermont Public Radio, I’m Steve Delaney in White River Junction. Residents in White River Junction, Vt., are upset that the state knew about contamination from a former dry-cleaning business but didn’t tell them until years later. A spectacular fire destroyed a White River Junction landmark over the weekend.